Regular visits to the GRMI campus are organized and coordinated by the Admissions team to let students get an idea of student life and activities on campus and interact with the admissions team. To schedule Campus Visit, write to us at admissions@grm.institute. We are committed to helping students, staff, and faculty experience university life to the fullest. We have a profound commitment to the diversity of our community and are focused on creating an environment where students can thrive. Through our wide array of programs and services, we provide opportunities and experiences that build a community, help you grow personally and professionally, and create a place that you can call home now and throughout your life. GRMI has excellent infrastructure, equipped with all modern facilities. Check our Gallery for Campus Photos. 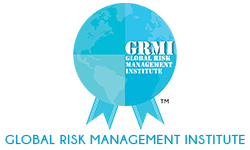 Write to us at admissions@grm.institute for Career advice related to Risk Management or our 1 year PGDRM programme. Our team will contact you once we receive your query.